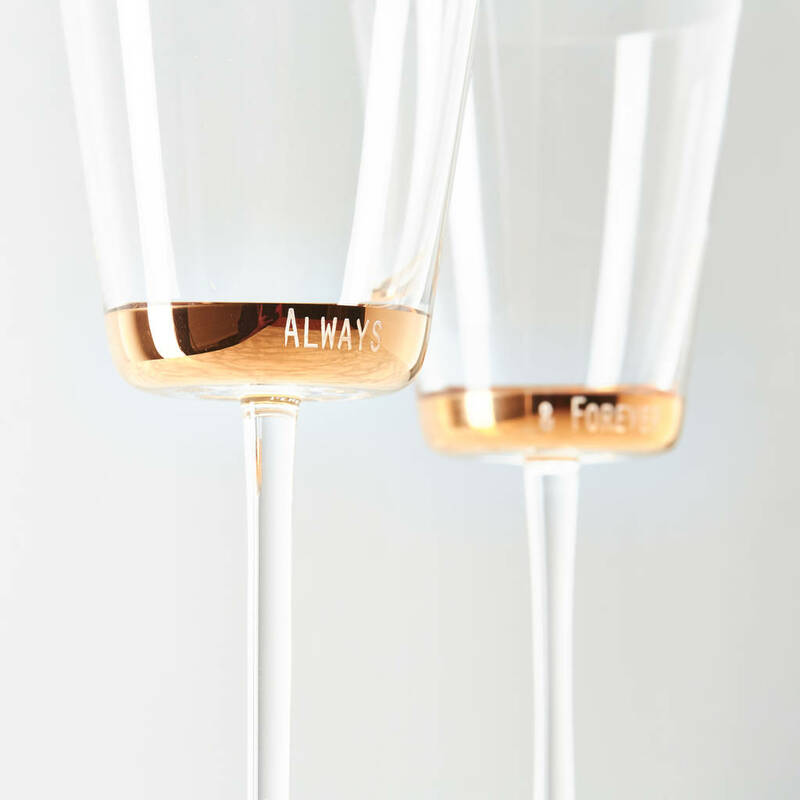 A Stunning Personalised Copper Wine Glass Set, with a beautiful copper base base, a unique gift for a special couple. 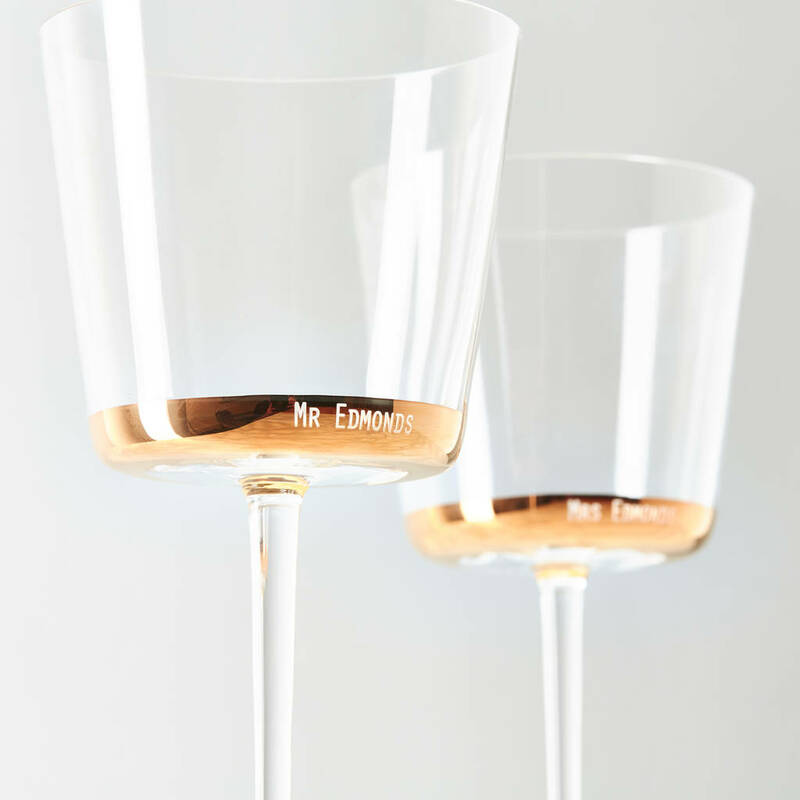 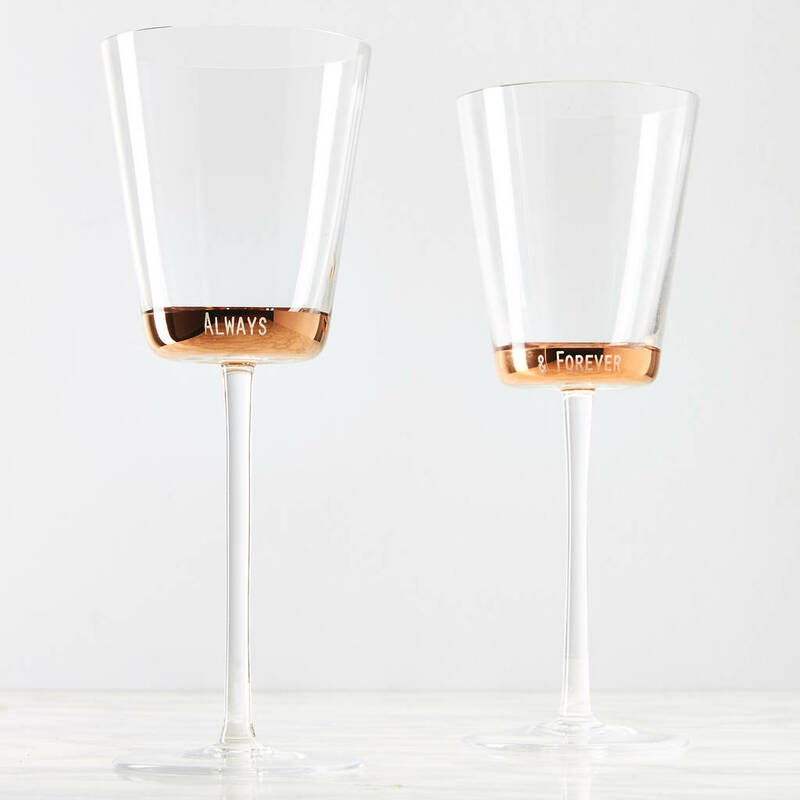 This beautiful set of two wine glasses have a hand painted copper band around the base, and can be personalised to create something really thoughtful for your loved ones. 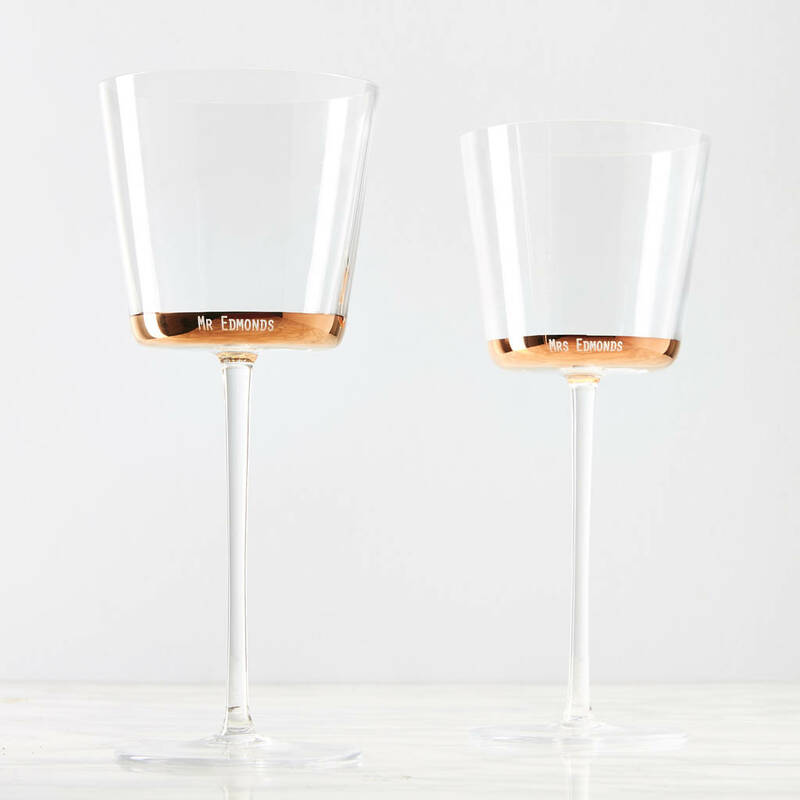 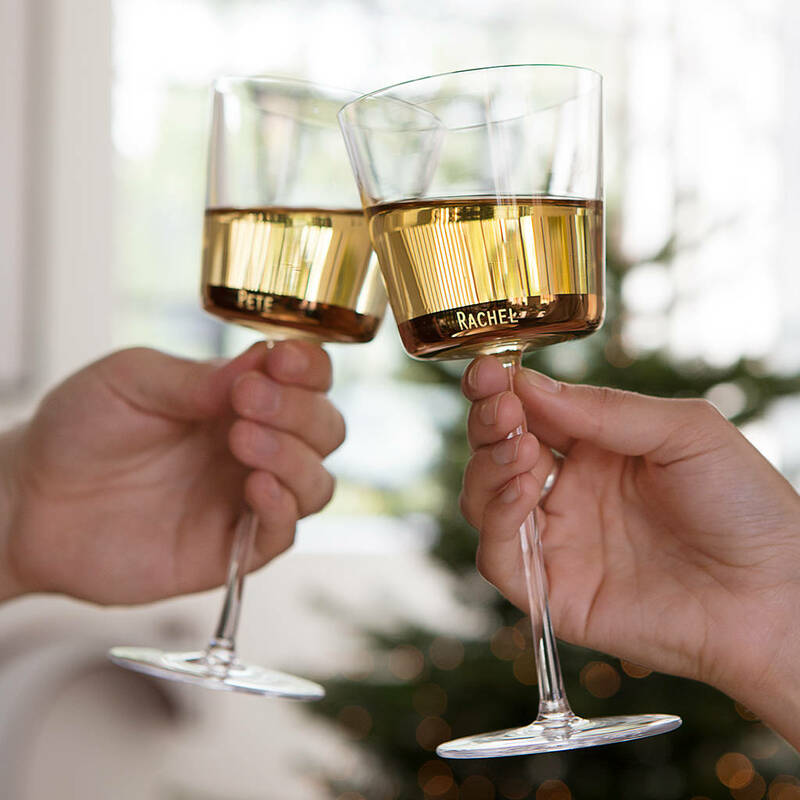 A lovely high quality gift for Weddings, Anniversaries and House Warmings, featuring your chosen names delicately engraved on the front of the glass. 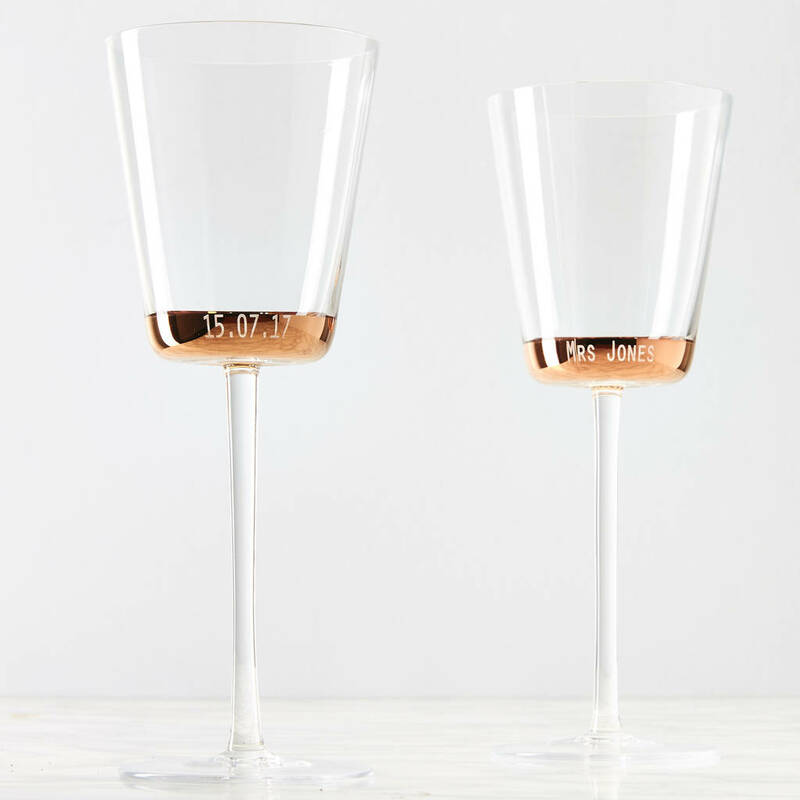 Add the date or a special message to the back of the glass to create this luxury gift. 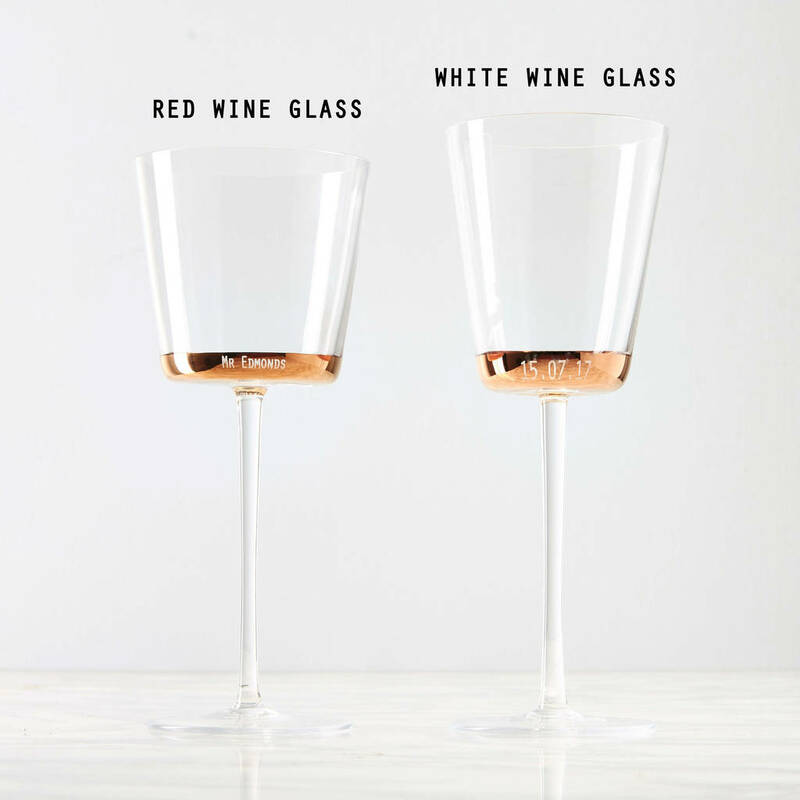 These glasses have elegant, tall stems and are perfect for all wine lovers, select from a Red or White wine glass set.